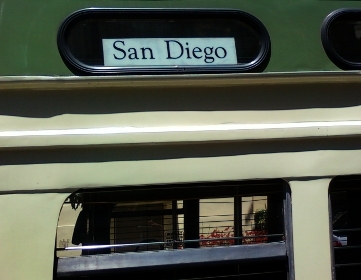 beyondsf: San Diego Streetcar Spotted! 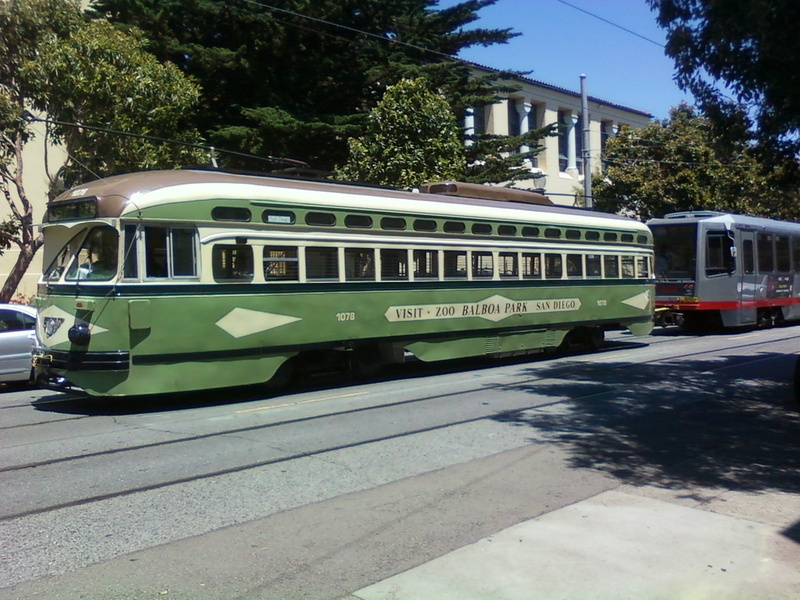 Yesterday, I spotted a San Diego streetcar being towed by a Breda LRV along 17th Street; one I had never seen before. They were making adjustments after a test run on the J-Church Line. The car just returned on June 24th from being completely rewired by Brookville Equipment of Pennsylvania. 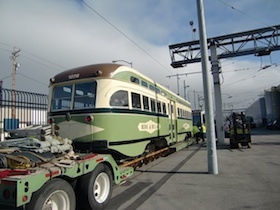 Here it is as it arrived last month at MUNI Metro East Yard.